Terrorists attacked two restaurants in Mogadishu, killing at least 18. 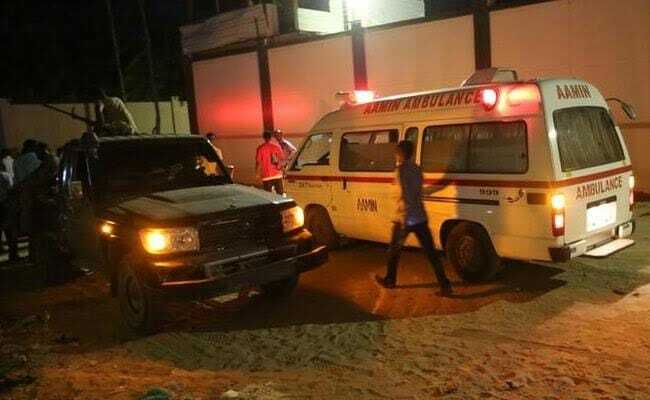 Mogadishu: A suicide car bombing and assault by Shabaab terrorists on two neighbouring restaurants in Somalia's capital Mogadishu ended Thursday morning with 18 dead, a government spokesman said. "The operation is over now and the gunmen were killed by the security forces," said Mohamed Ahmed Arab, spokesman for Somalia's security ministry. "They have attacked business places and killed innocent civilians: 18 civilians were killed, including a Syrian national, and more than 10 others were wounded," he said. The attack began at around 8pm (1700GMT) on Wednesday evening with a suicide car bombing at the Posh Treats restaurant and club, after which gunmen stormed inside the nearby Pizza House restaurant. Both venues are popular with affluent, young and diaspora Somalis and were busy as customers broke the Ramadan fast.